We have seen how the Rand has been growing and competing with the US Dollar, it seems that it wont be like that for long. 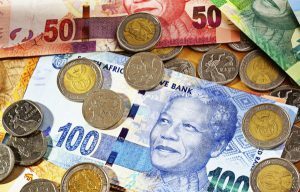 The rand’s comeback against the dollar this month will run out of steam as US rates rise and the trade war between the world’s two biggest economies weighs on global growth, according to the most-accurate forecaster of the South African currency. The rand has gained 2.2% against the greenback since the beginning of July to around R13.39 per dollar on Tuesday. Any further advance should be seen as a dollar-buying opportunity, according to Rabobank, which tops Bloomberg’s latest ranking for rand-dollar forecasters and predicts the South African currency will end this quarter at R14.20, a slide of about 6%. “The rand is under renewed selling pressure amid fading positive market sentiment,” said Rabobank’s London-based emerging-markets currency strategist Piotr Matys, whose forecast for the currency is more bearish than the median of R13.46 in a Bloomberg survey.